New books have been published to help candidates revise in preparation for changes to the theory test in January 2012. 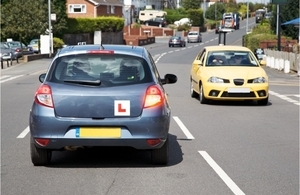 Since theory tests began in 1996, the Driving Standards Agency (DSA) has published the questions and answers from the question banks for all categories of tests for cars, motorcycles, lorries and buses. However, DSA announced last November that it was to stop publishing the multiple choice questions and answers, with unpublished questions being used from January 2012. The reason behind the move is to stop candidates from simply memorising theory test questions and answers and learning by rote. The new books contain questions and answers for revision and also explain the theory behind each question. This approach to learning will help candidates to gain a better knowledge and understanding of driving theory which will help them respond correctly to the new, re-worded live questions used in the actual test. Other theory test products including CD Roms, downloadable PDFs and ebooks have been revised too and will be published shortly after the theory test books are published on 19 September. The agency has also launched its first ever mobile phone apps for theory test revision, which have been developed to help candidates learn in this way.